I have just poured myself a bowl of dry corn Chex. Because cereal is the best midnight snack. 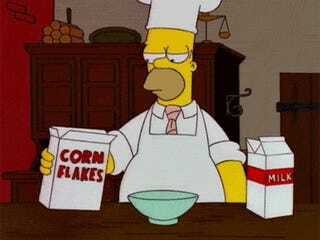 And because we aren't allowed to have any cereal with sugar as one of the first three ingredients in our house. Who makes these cruel and draconian rules? Oh, yeah. That would be me: Shiny the Mommy. Good night, y'all. Be splendid. I meant to go to bed hours ago. Why does no one send me to bed when it's time? I need one of those mommy people to make me do stuff, like clean the damn house and go to bed on time. Clearly, Shiny is tired and rambly and lonely. 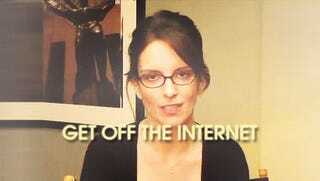 Tina Fey will be my new mommy.